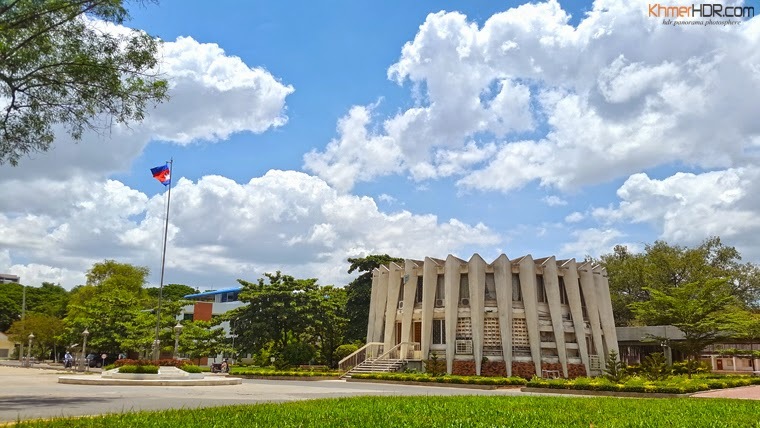 Have you ever visited the main campus of RUPP (Royal University of Phnom Penh)? If you get entered by IFL's entrance, you will see a building looks like a leaf at your left side located inside the RUPP campus. This building is the library for the French department and it is modeled after a Cambodian palm leaf hat (with the moat of water surrounding the building as the brim) - architectured by a well-know Cambodian architect, Mr. Vann Molyvann.